The Caribbean tourism industry is often vulnerable to natural hazards and extreme weather events. Due to Climate Variability and Climate Change (CVC) these weather conditions are expected to worsen overtime and therefore impact negatively on the socio-economic growth in the Caribbean region. The CTO, with cooperation and assistance from the Caribbean Development Bank (CDB) will implement the “Supporting a Climate Smart and Sustainable Caribbean Tourism Industry (CSSCTI)” project in CTO and CDB’s mutual member countries in the frame of ACP/ EU/ CDB Natural Disaster Risk Management Programme, managed by the CDB. Special focus will be on mainstreaming climate change adaptation and disaster risk management strategies in the approach to public and private sector tourism development, policy formulation, planning and business operations. 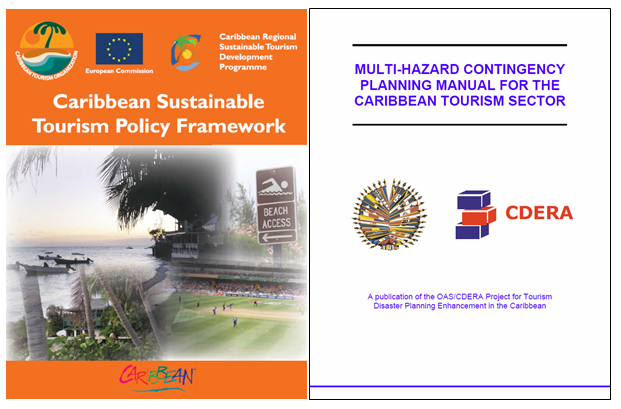 Policy/ Strategy Documents: Updating the Caribbean Sustainable Tourism Policy Framework and developing a Disaster Risk Management Manual for the Caribbean Tourism Sector. Capacity-Building: The provisioning of training tools in disaster risk reduction (DRR) and climate change adaptation (CCA) for public and private sector tourism stakeholders. Outreach/ Engagement: A Tourism Education and Awareness Campaign (TEAC) through social media engagement and a televised documentary series. Knowledge Products: Producing a Caribbean Best Practices in the Sustainable Tourism Manual and the commissioning of a feasibility study to inform the needs related to climate services in tourism. 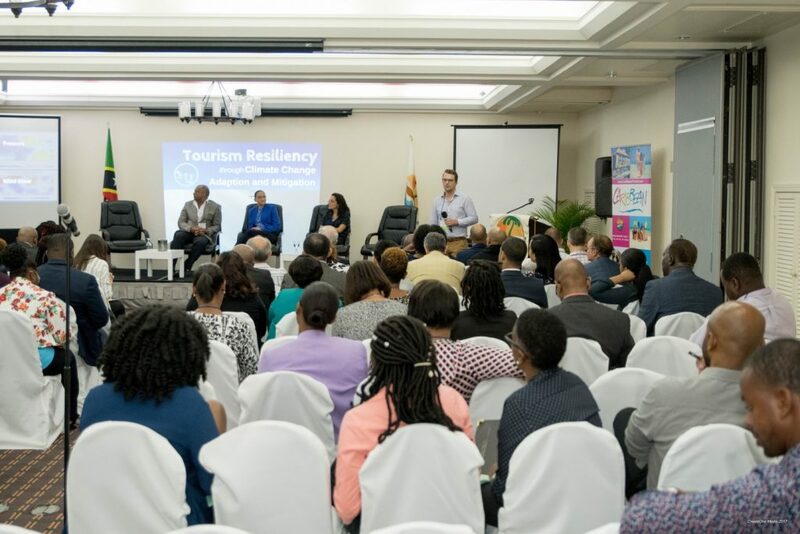 In-Country Pilot Training: Implementation of pilot projects adapting the MHCPM- Tourism Emergency Response Plan/ Model to national requirements in The Bahamas, Belize, Dominica, Jamaica and Haiti.